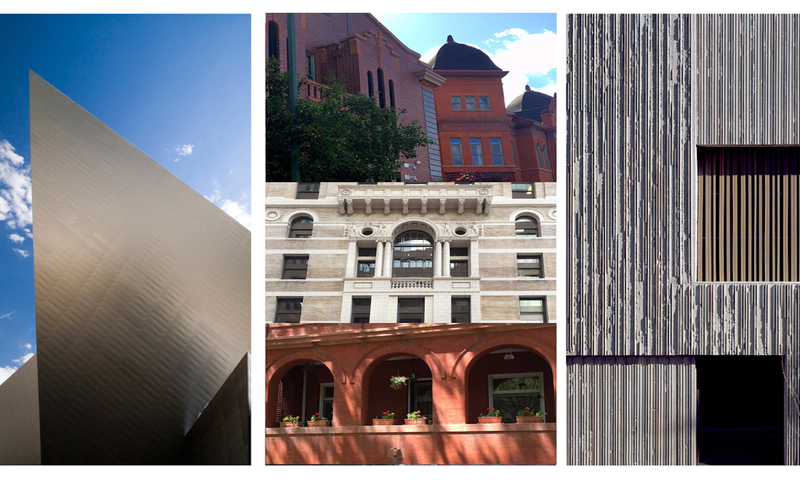 Yesterday, I was going through the agenda for the Dec. 4 meeting of the Denver Landmark Preservation Commission. That infill project contains six townhomes, with a sensitive eye toward many of the rowhomes in that neighborhood. The committee has some concerns – like the proposed color of the brick and some porch detailing. But by and large, these renderings seem to promise a project that manages to look new but also hew to the mass, form and context of the neighborhood. The photo above shows how this works. The home on the left dates to about 2008, according to the city assessor’s records; the home on the right dates from the late 1880s. Both are in Curtis Park. One home is quite contemporary; the other is definitely of its time. The home on the left… I can’t tell what the material is, and didn’t want to walk up and touch it; the home on the right is painted brick. No one tried to do a faux historic home; those are a cheat and are discouraged by preservationists. But the size, impact and height make these two homes compatible. Historic neighborhoods certainly can incorporate modern architecture. It’s The Loomers that grab our attention. You know: They loom over smaller homes, and quite often look as if they have an observation deck on top. This is when architects go off the rails. I started taking photos of The Loomers around Denver, but figured there were so many, why even post one. We see them everywhere. Other historic districts in Denver also have design review, and other tools include design overlays and conservation overlays. Now, I’m a wonk, but I am no expert in this. But I do know that in many of our neighborhoods not considered an historic district, it’s been a free-for-all for the past several years. At one point, I thought the city department that deals with these issues had changed its name to Development and Community Planning, instead of the other way around. The slot home horse had already escaped from the barn, but is supposed to have been put to rest. So now, in front of us, we have the draft of an updated Denver Blueprint to guide design and development for the next 20 years. I have gone through the draft released this past summer. Design review is part of the design quality tools, as are the various overlays, but I am wondering just how much the development community will go for this. Or how much of this language will be watered down. One of the goals expressed in what I would call an aspirational document is “Strong and Authentic Neighborhoods.” Like, not fake? The second draft of the plan is supposed to be released on Jan. 7, 2019, with more input solicited from the community. The schedule shows April 15 as the date this will come before the Denver City Council. I have included links below to various topics, starting with a Denverite story from a few days ago that explores this proposed plan (reporter Donna Bryson has captured a perfect point of irony at the top of her story). Also, there are links to the plan, the schedule for how the plan will move forward, and related issues.